About Major League Baseball: Major League Baseball (MLB) is the most historic professional sports league in the United States and consists of 30 member clubs in the U.S. and Canada, representing the highest level of professional baseball. Led by Commissioner Robert D. Manfred, Jr., MLB currently features record levels of labor peace, competitive balance and industry revenues, as well as the most comprehensive drug-testing program in American professional sports. MLB remains committed to making an impact in the communities of the U.S., Canada and throughout the world, perpetuating the sport’s larger role in society and permeating every facet of baseball’s business, marketing and community relations endeavors. 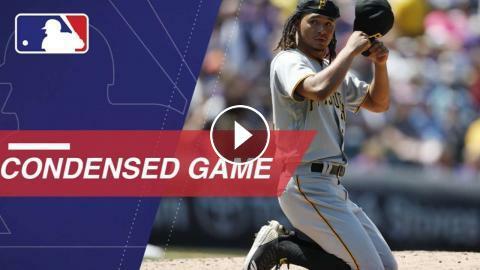 With the continued success of MLB Advanced Media and MLB Network, MLB continues to find innovative ways for its fans to enjoy America’s National Pastime and a truly global game. 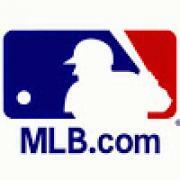 The American League consists of the following teams: Baltimore Orioles; Boston Red Sox; Chicago White Sox; Cleveland Indians; Detroit Tigers; Houston Astros; Kansas City Royals; Los Angeles Angels ; Minnesota Twins; New York Yankees; Oakland Athletics; Seattle Mariners; Tampa Bay Rays; Texas Rangers; and Toronto Blue Jays. The National League, originally founded in 1876, consists of the following teams: Arizona Diamondbacks; Atlanta Braves; Chicago Cubs; Cincinnati Reds; Colorado Rockies; Los Angeles Dodgers; Miami Marlins; Milwaukee Brewers; New York Mets; Philadelphia Phillies; Pittsburgh Pirates; San Diego Padres; San Francisco Giants; St. Louis Cardinals; and Washington Nationals. Check out http://MLB.com/video for more!